Apparently news had it that the damsel secretly wedded a felow actress’s Ex-husband. What I don’t know is whether she caused their separation or that because he was once married to her fellow actress makes him a no no man for her? If Stella is the reason for their separation, the law of karma will always play its role, but if the latter is the case here, then people should take a chil pill and let this woman be!!! Remember the story in the Bible when Jesus asked some holier than thou individuals to stone a woman whom they accused of adultery? What then happened when he asked them “if any of you haven’t sinned, pick up a stone and kill this woman”…he bowed his head and when he raised it again….they all disappeared…to cut the whole story short…if you are holier than Stella Damasus please pick up a stone and kill her, if not SHUT THE HELL UP!!!!! “I have Been trending for the past two days now. Day one was about people wishing me well and praying for me on my birthday. Day two is now filled with gossip, scandals and all sorts, but that is as far as the so called journalists and bloggers are concerned. As far as I am concerned I had a blast on my birthday and I will not allow other human beings steal my joy regardless. I sincerely got carried away watching the pictures on Stella’s blog, then something came to my head and I said to myself, this her dress looked familiar! And yes it was worn by Toolz the radio presenter!! 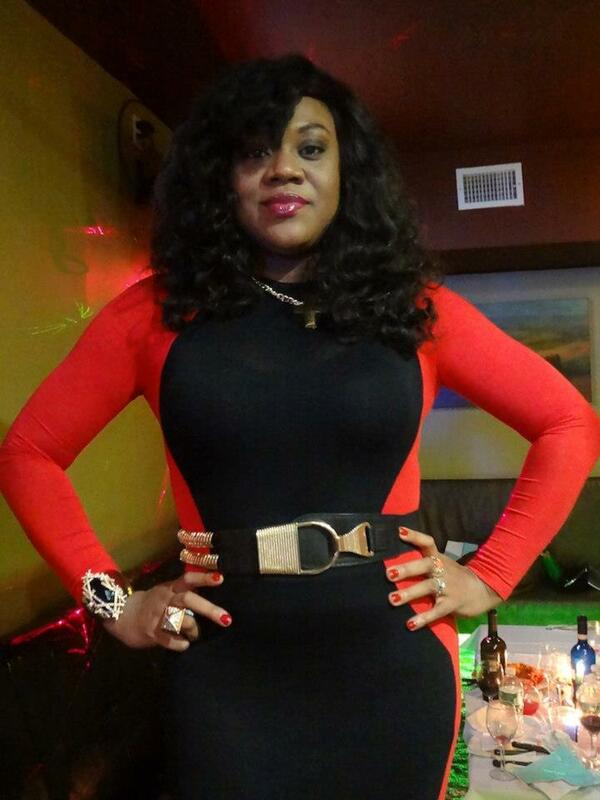 Stella I go call fashion police for you oooo, why you thief her dress nah?…..Lmao. Once again Happy belated buffday!!! This entry was posted in Entertainment, Relationships and tagged latest celebrity gossips, Nigerian news, Nollywood actress, Stella Damasus Birthday Celebration.